Nice pic of the ABF twin screw. 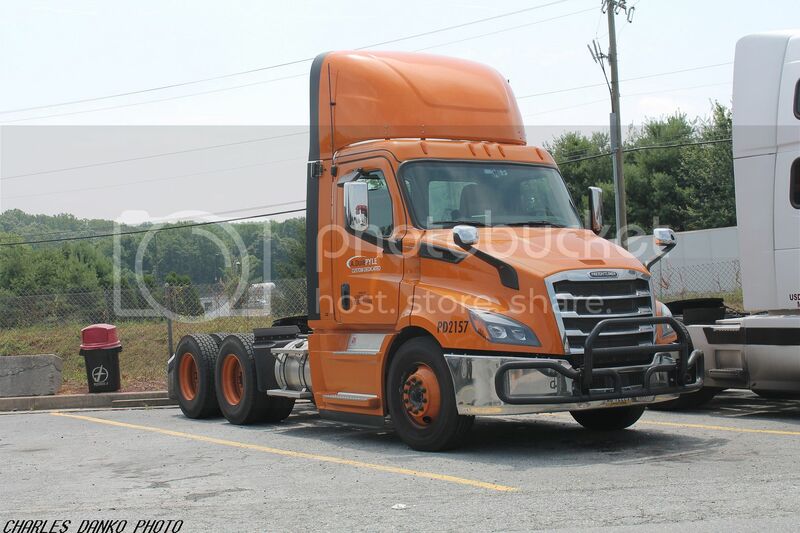 Finally caught up to an A. Duie Pyle FL Cascadia Mk II at the Flying J in North East MD yesterday. You are getting very good with the model names, Mr. D. I would have said a "new style Cascadia". Pretty soon you will be able to tell the different models of Peterbilts. Is NorthEast a town or a district in MD? I learned the Mk II designation from JJG. Previously I would have said "new" Cascadia or whatever. As far as the Pete models I'm ok with the newer ones (389,579 & 567) but that's about it. 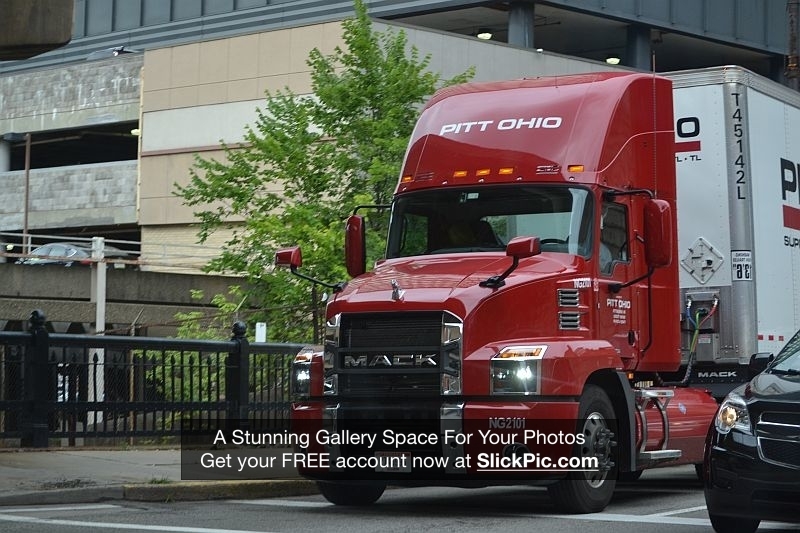 Kudos to IH, WS & KW who actually put the model name on the truck via a chrome strip.......makes it so much easier. North East MD is a town off I-95 Exit 100. The Flying J has been a very good spot for me for over 18 years.........have caught a lot of sharp & different rigs there.......favored by Canadians too. There's a big food warehouse & a NEMF terminal right next door plus it's the route to Ritchie Bros. auction to the east so always a lot of heavy haulers. 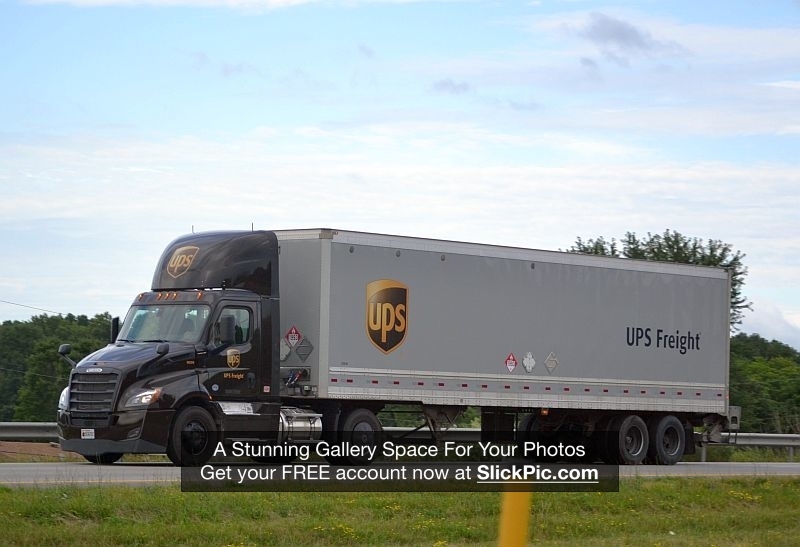 UPS has a couple of twin screw Mk II Cascadias running between Kansas City and Denver. They are not CNG, they have been towing the CNG trucks because they can't make it the 600+ mile round trip. No CNG fuel available on the way. Saw this Anthem in downtown Pittsburgh this AM. I was passing through an intersection, so I just kind of held up the camera and fired a shot through the passenger window. Appears to be LNG or CNG, interesting. It's CNG. Greg posted a link to an article on the previous thread page. This is the same unit pictured there. 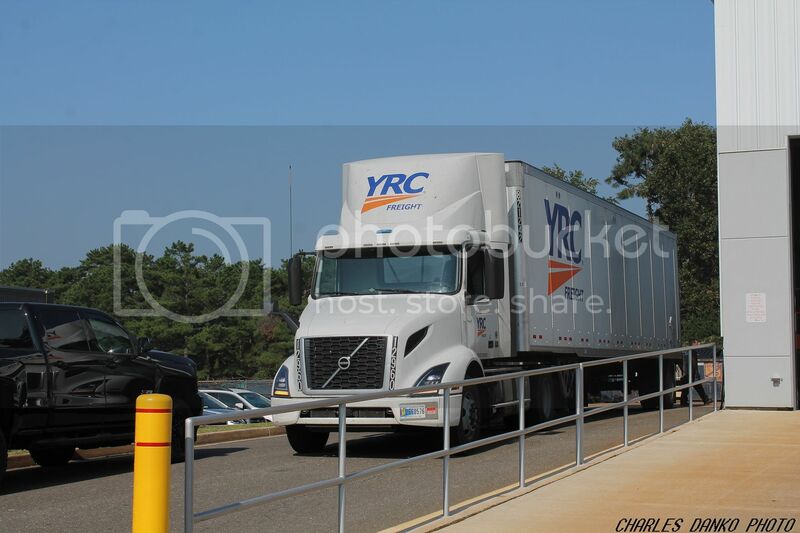 YRC Volvo VNL VNR on the ramp at a car dealership I work out of in Toms River NJ this morning. That’s a VNR Charlie. The successor of the VNM. YRC ordered a whole lot of those!